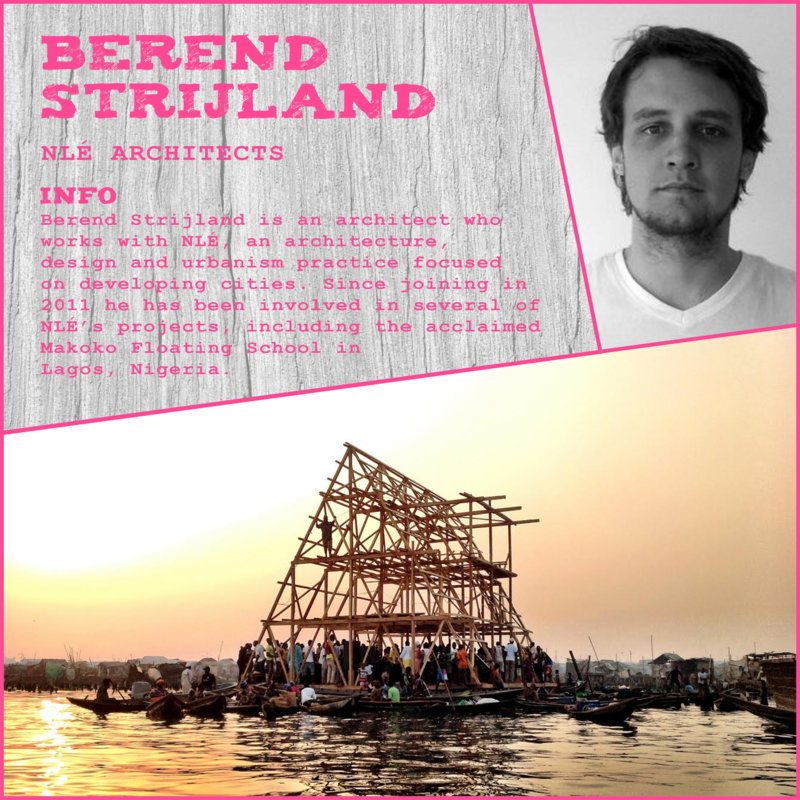 Berend Strijland is an architect who works with NLÉ, an architecture, design and urbanism practice focused on developing cities. Since joining in 2011 he has been involved in several of NLÉ’s projects, including the acclaimed Makoko Floating School in Lagos, Nigeria. 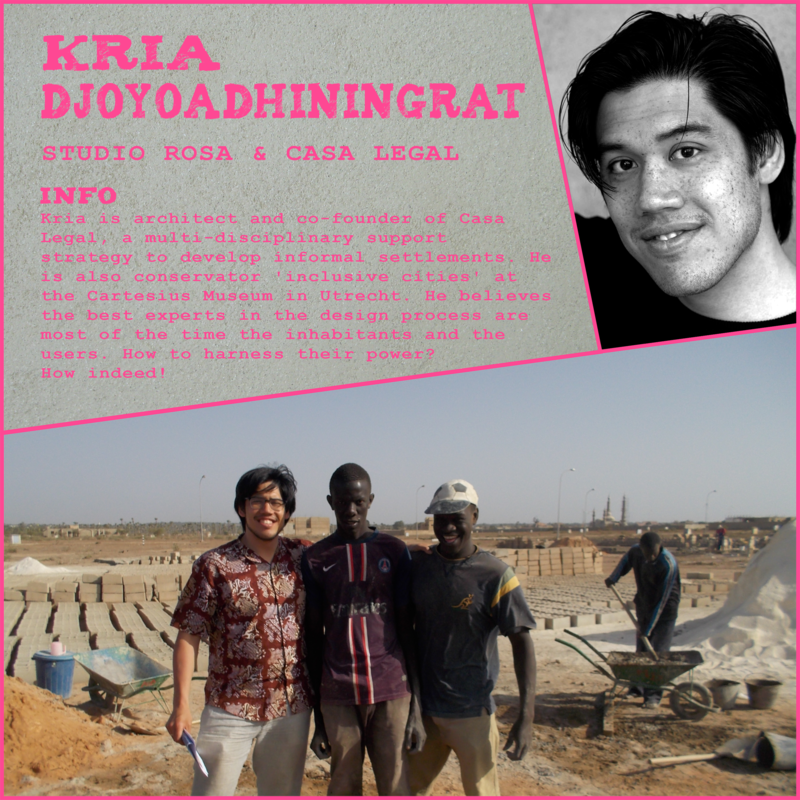 Our following note speaker is Kria Djoyoadhiningrat, an architect and co-founder of Casa Legal, a multi-disciplinary support strategy to develop informal settlements. 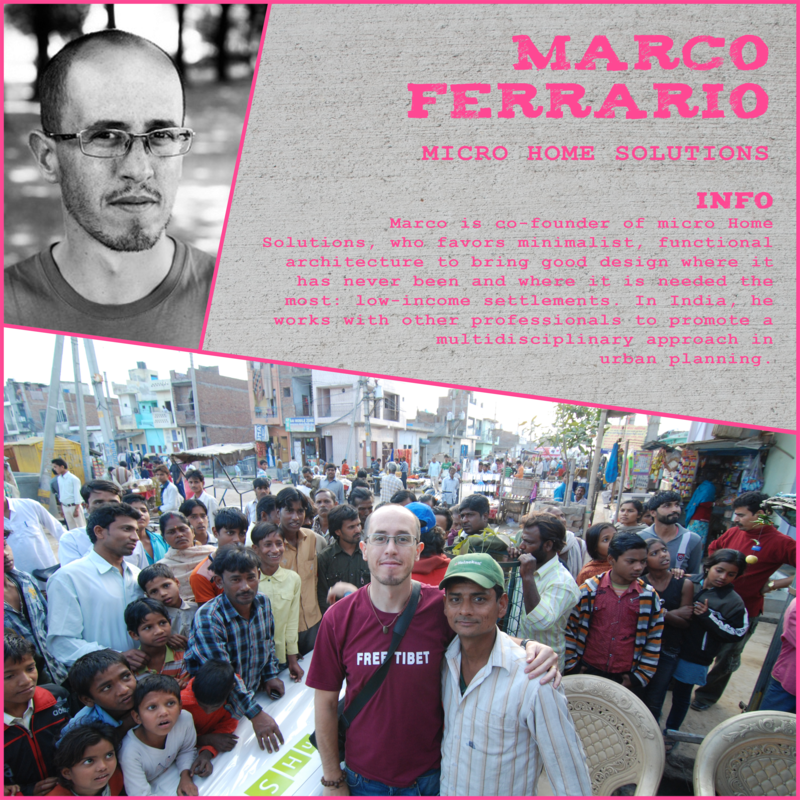 He believes the best experts in the design process are most of the time the inhabitants and the users. Kria dedicates himself as professional to harness their power.